Even though I missed this years fashion show at Tropico de Nopal, which I continue to kick myself for, I found some pics on flickr from photog LA-dude-taking pics. He got some great shots from behind the scenes tambien, which I would do anything to be able to go back stage and do what he did. Anything !! Any-who, I noticed the new pics that were uploaded on the LAEastside flickr pool. 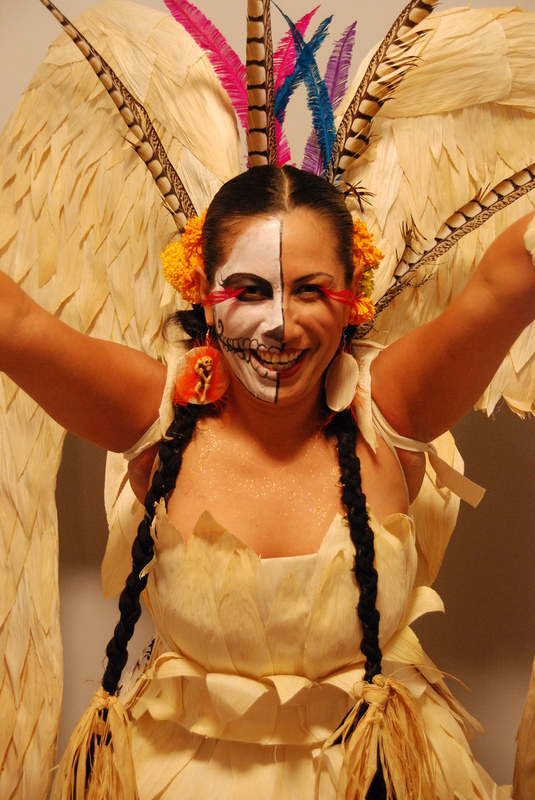 This entry was posted in art, culture, Events, fashion, history, Media, Photos and tagged Calavera fashion show, Day of the Dead, Dia de los Muertos, tropico by El Random Hero. Bookmark the permalink. Thanks for sharing, Mr. Hero. Here are a few places to find some other Ofendas 2009 pictures from the Tropico de Nopal Artspace. what a beautiful event. next year, i am fer sure going!